Many times people ask me about my experiences during my Arabic studies and how I managed to improve my Arabic. I will share some thoughts here. 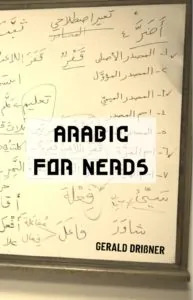 The main problem of studying Arabic is that even many native speakers struggle to speak and write Arabic correctly. They can only communicate flawlessly in their dialect. Books written by European scholars are not only boring, you also need a Latin dictionary. Books written by American scholars are too simplified and ruin the beauty of Arabic. Books written by Arabic scholars usually are not written for beginners. So you are pretty much on your own. In fact, it is all about dedication and patience. 1. Be a copy machine (for beginners). Take an Arabic newspaper, the Qur’an, or a novel and write down (copy) two or three sentences every day. Write them on a paper – by hand. If you are a beginner, don’t worry about the content. It is not important to understand the sentences. Your brain will get used to Arabic patterns. It might sound old school but it worked for me. Also your eyes will get used to the Arabic script. 2. Create a playlist (for beginners). Conjugate verbs and record them (ask a native speaker), listen to them, again and again. After a year the conjugation of the dual and the feminine plural will feel somehow natural. 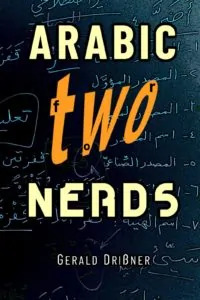 If you don’t want to do it on your own: Matthew Aldrich (Lingualism) has developed some pretty good materials for Arabic dialects (Egyptian Arabic verbs, etc.) He also offers Anki vocab files and mp3 files (recorded by native speakers). 3. 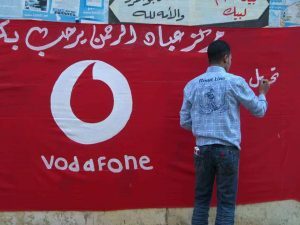 Watch Netflix with Arabic subtitles. You can download (free) Arabic subtitles (some are great, some are of rather poor quality) for most Netflix series. It really helps to brush up your vocab. There is a nice plugin which does the job. 4. Three words a day (for beginners and intermediate). If you study three words per day, you will know more than 3,500 unique words after four years. That is enough to have a decent conversation about any topic. I use Anki to build my own vocab list. 5. Back to the roots (for intermediate and advanced). As soon as you know how Arabic works, I would not advise to study words. Try to study roots. Even if you study only one root a week, you will improve quickly. The important thing is to identify as many patterns as possible (and to derive their meaning). If you struggle to find the root, try Aratools (pretty good tool, but it is not always 100% correct). Please feel free (as a comment) to share any tools, routines, etc. that helped you to improve your Arabic! I appreciate any ideas. Really interesting the copying down… That’s how copywriters learn how to create advertisements too!